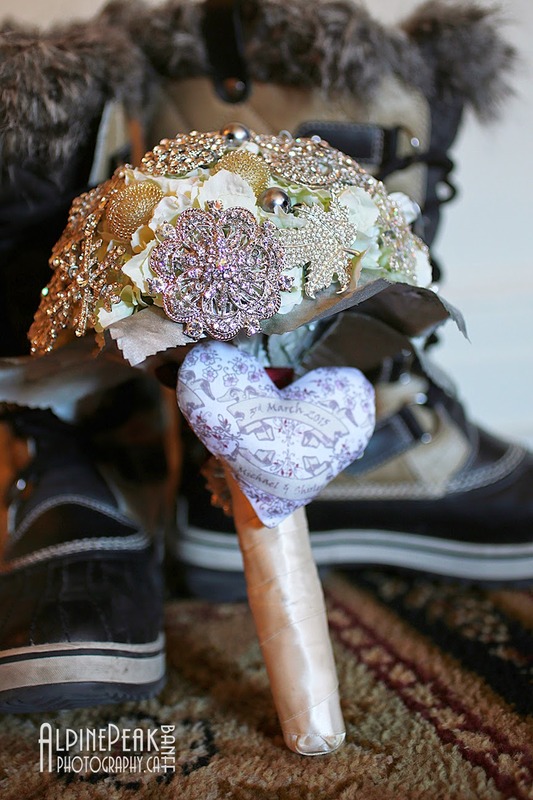 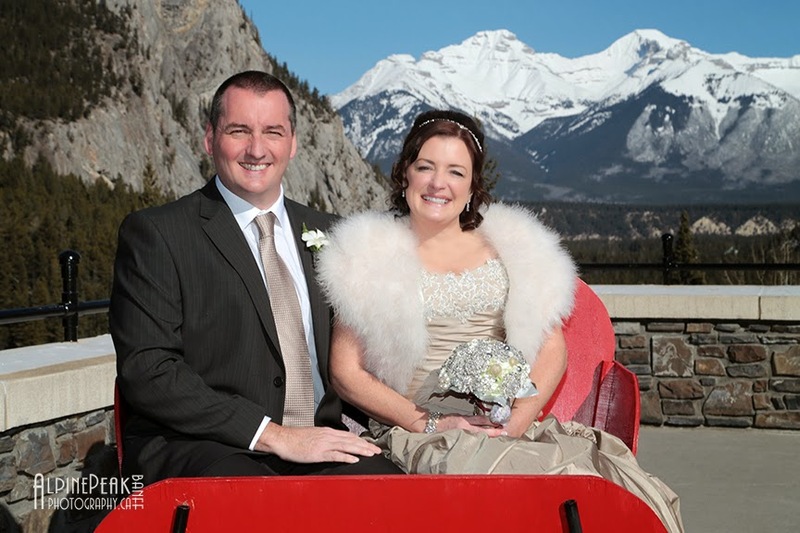 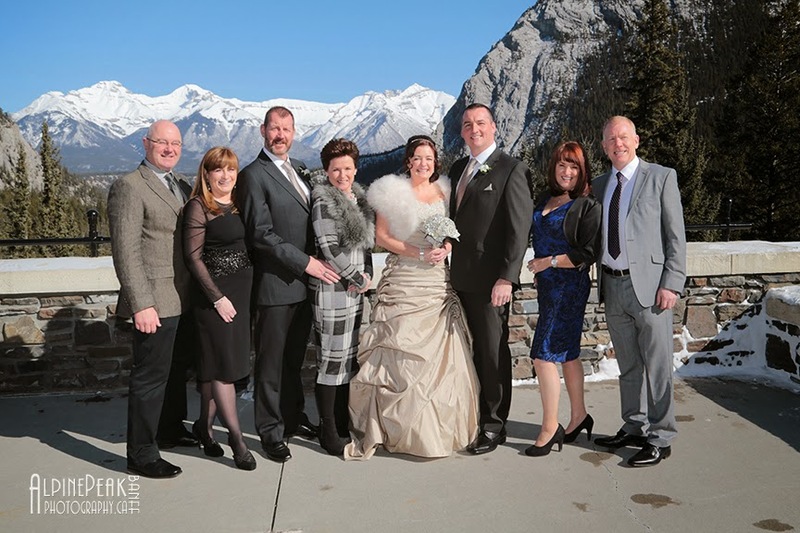 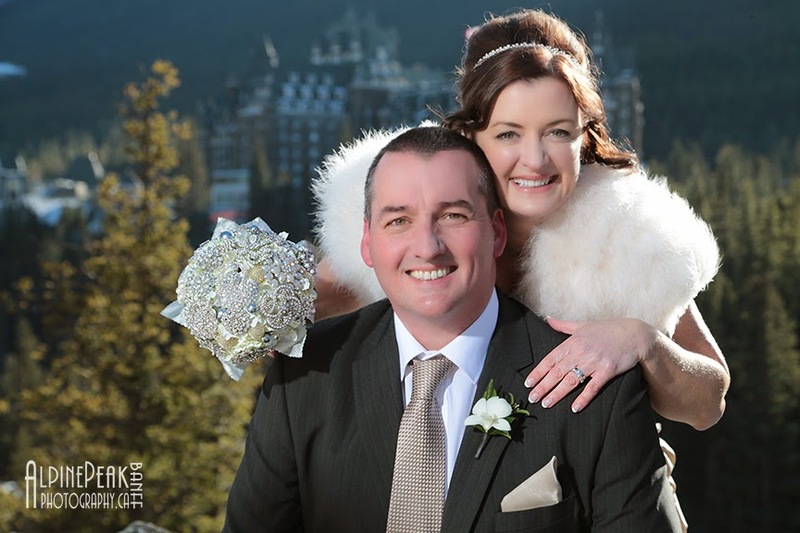 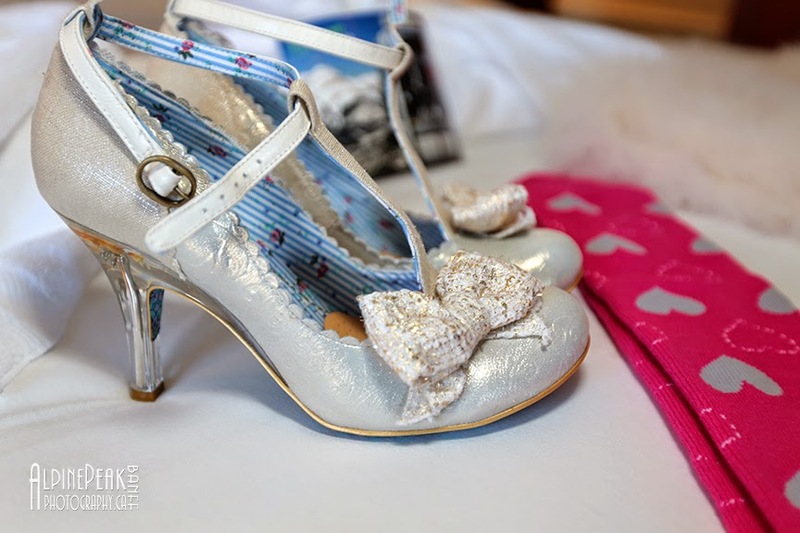 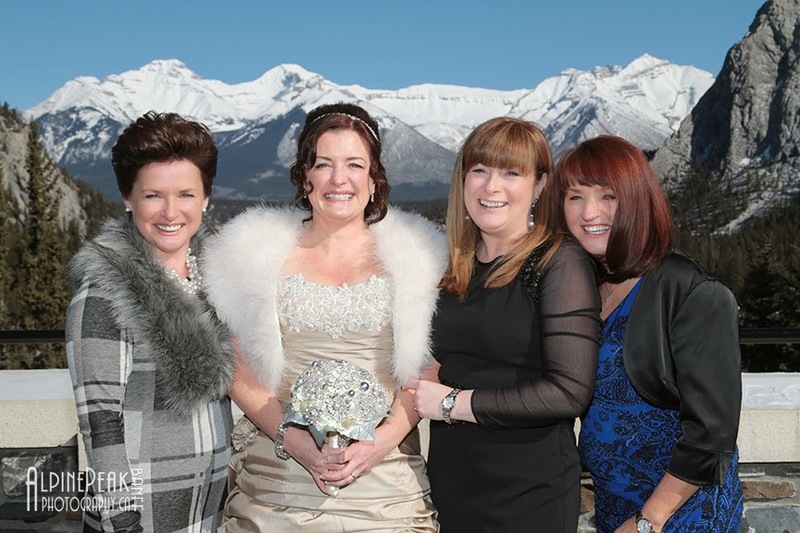 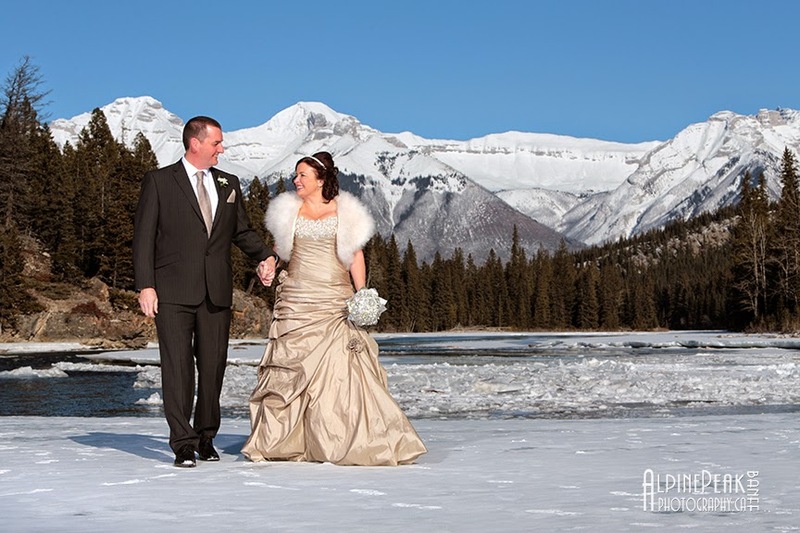 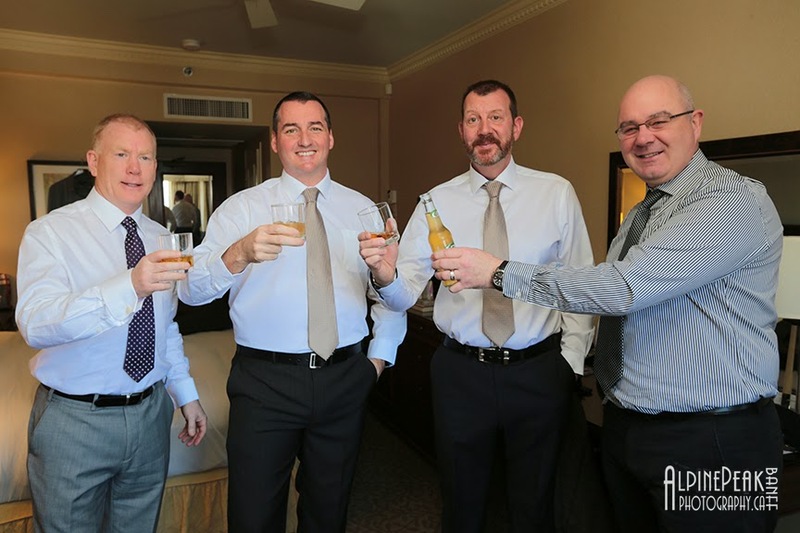 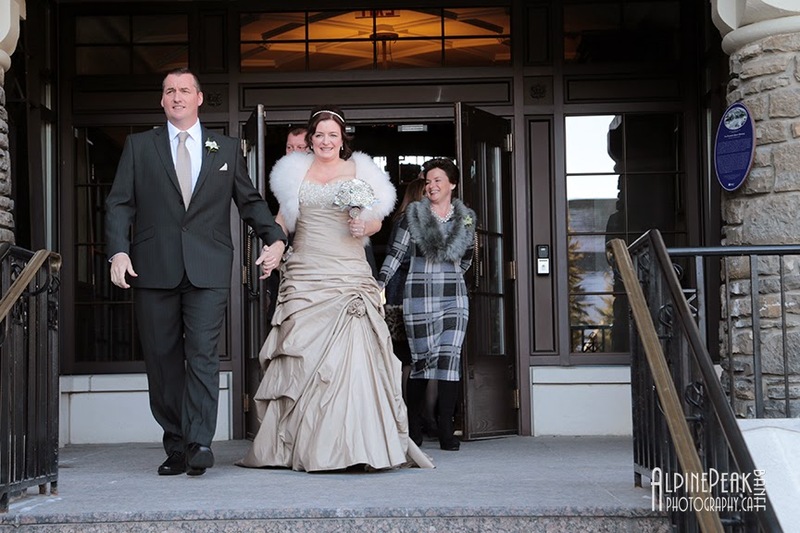 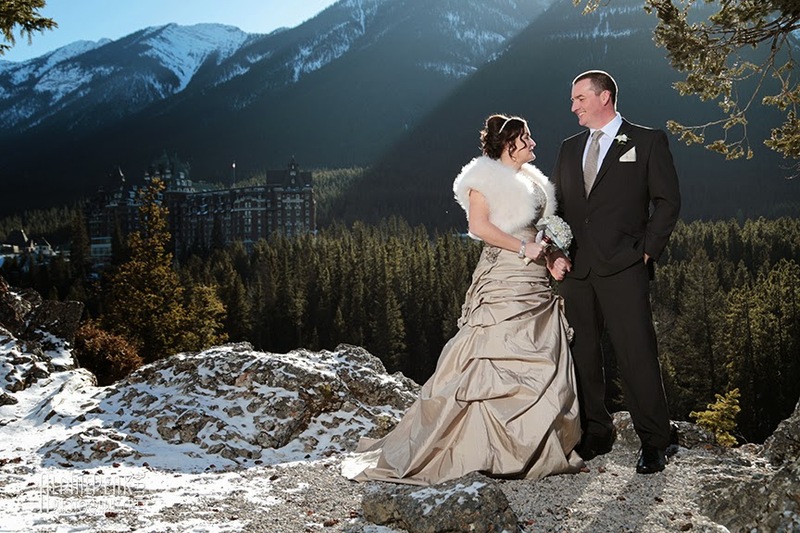 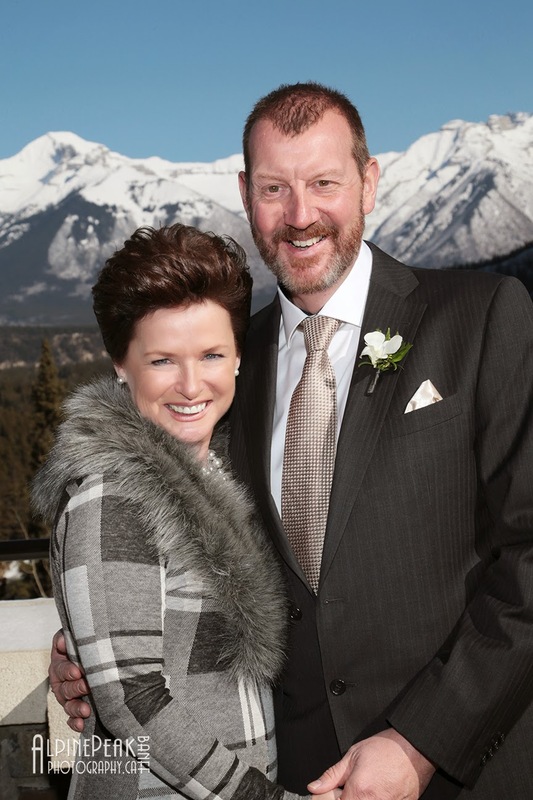 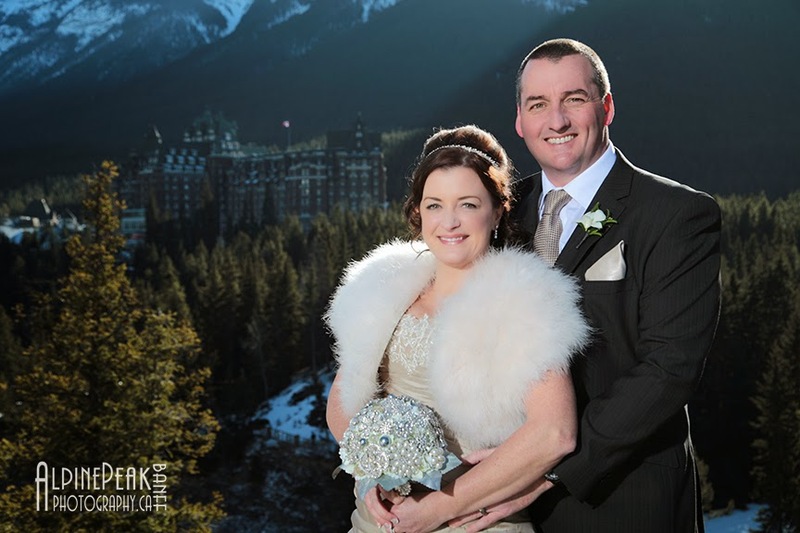 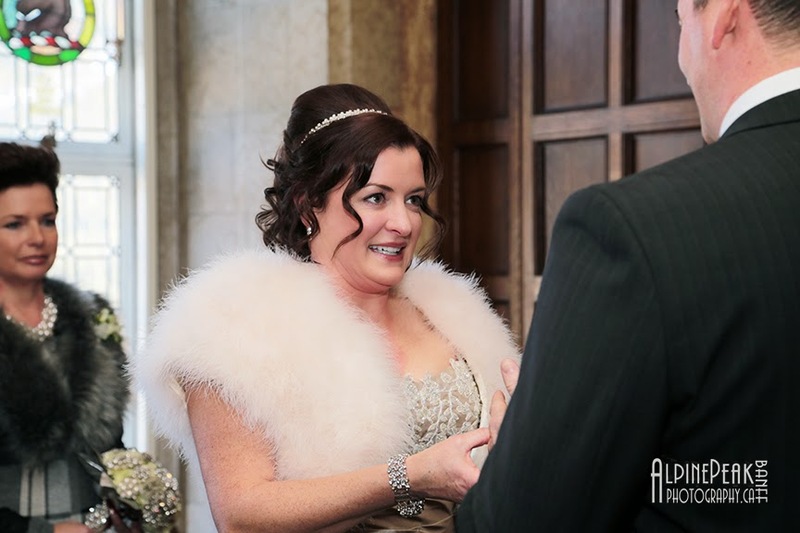 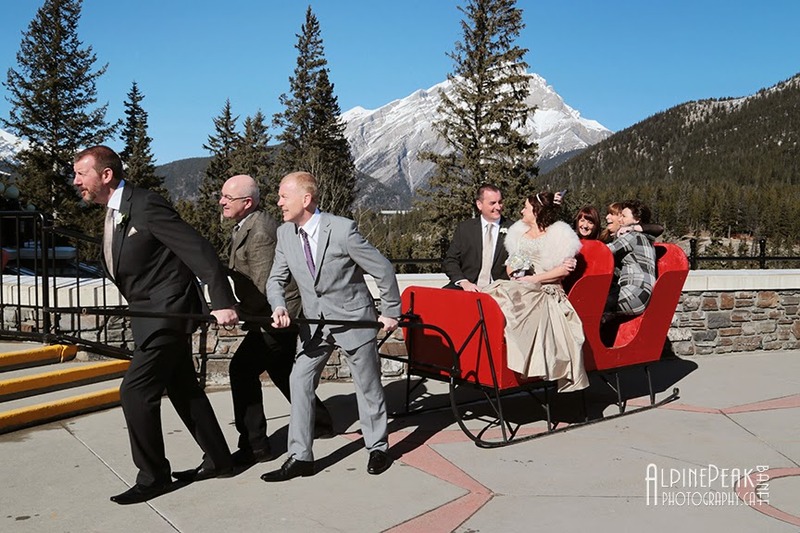 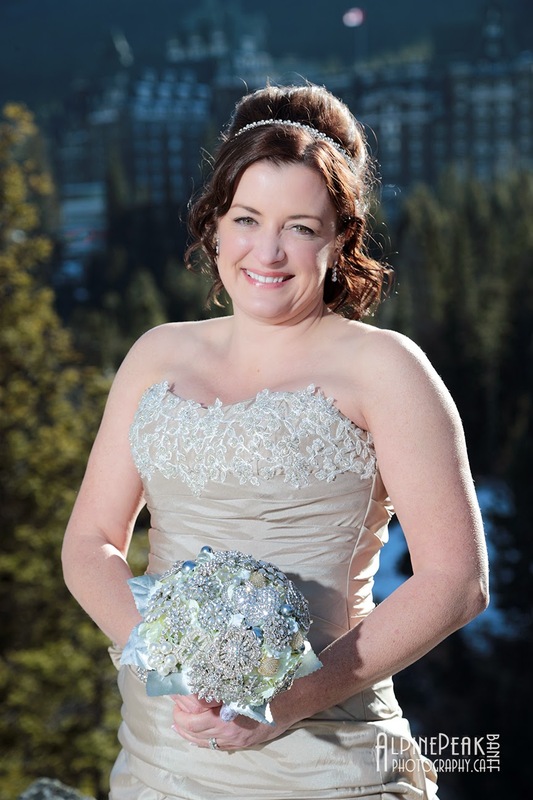 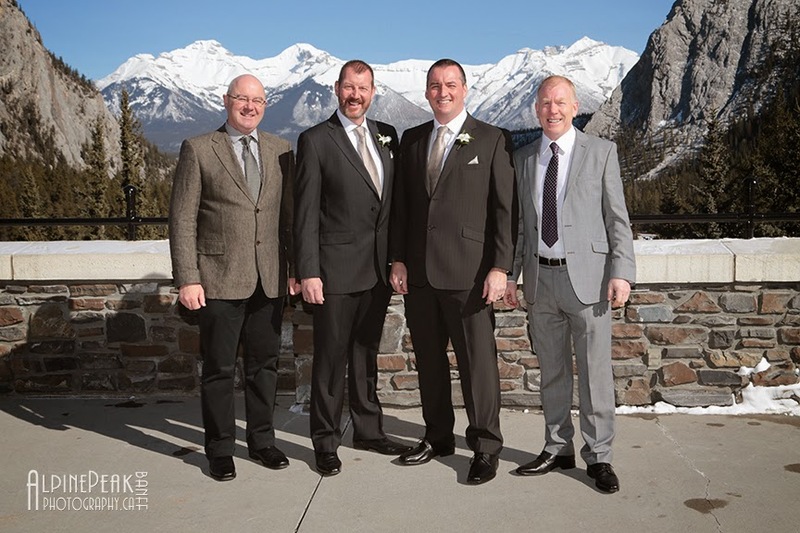 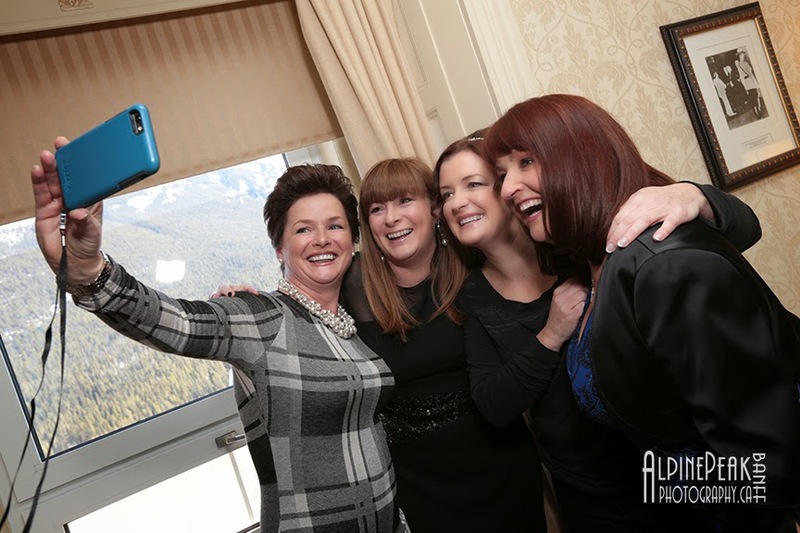 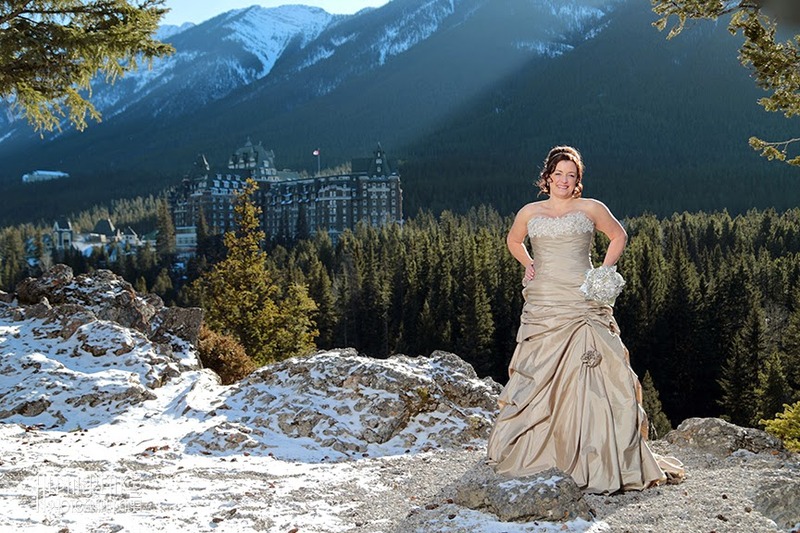 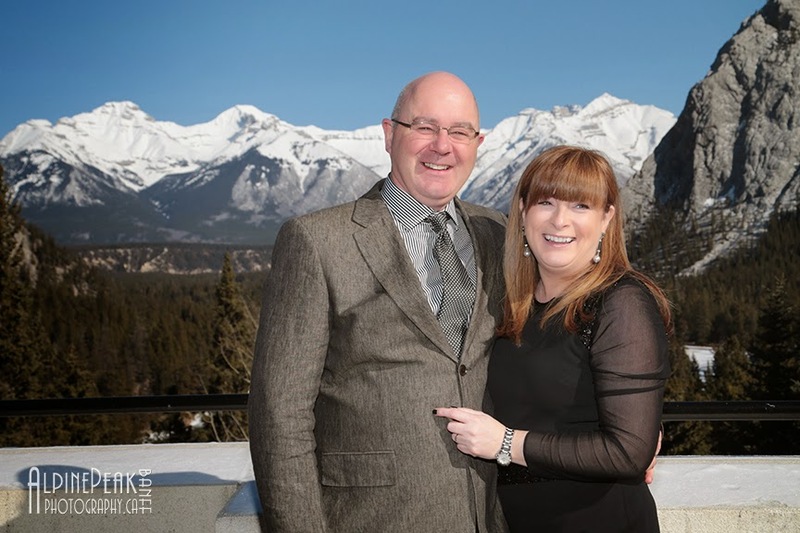 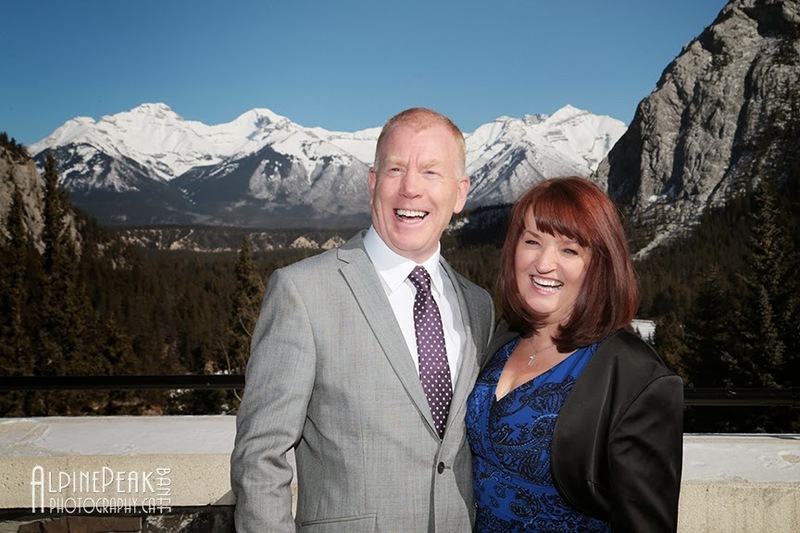 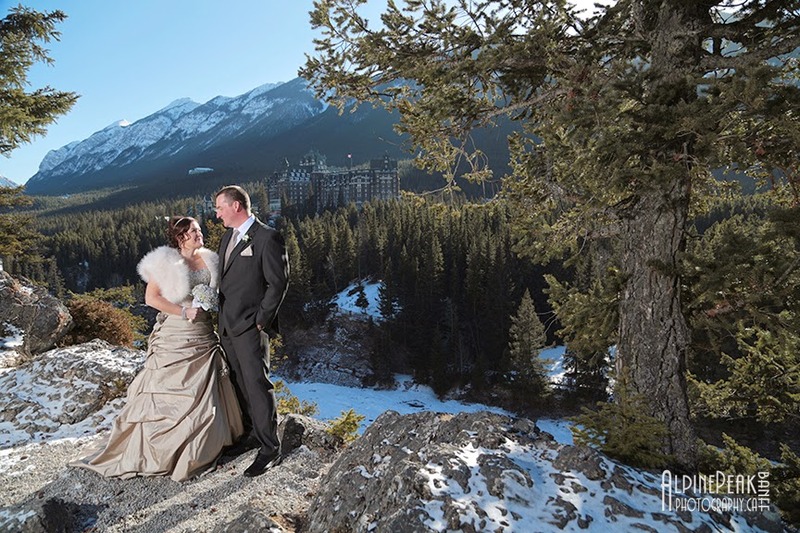 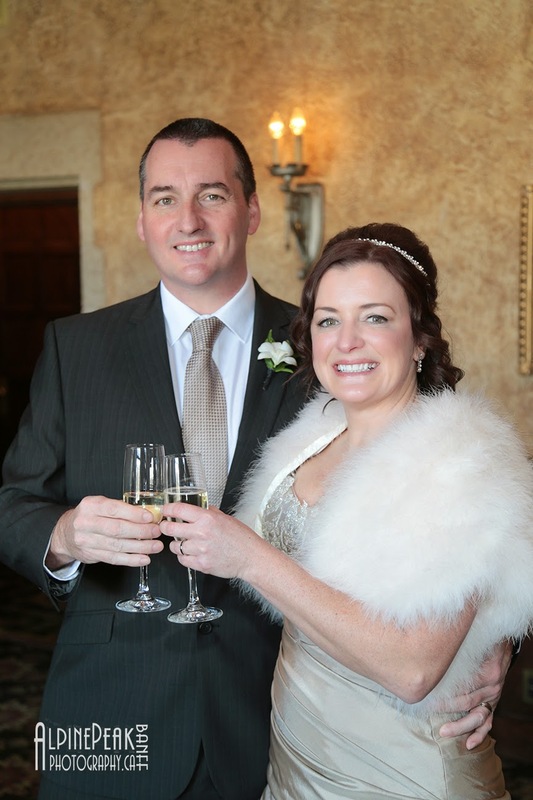 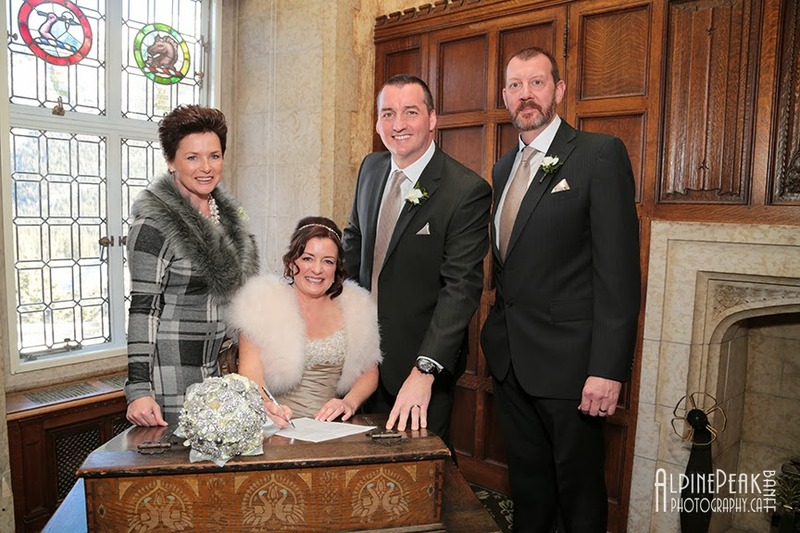 who came all the way from Ireland to Elope in Banff ! 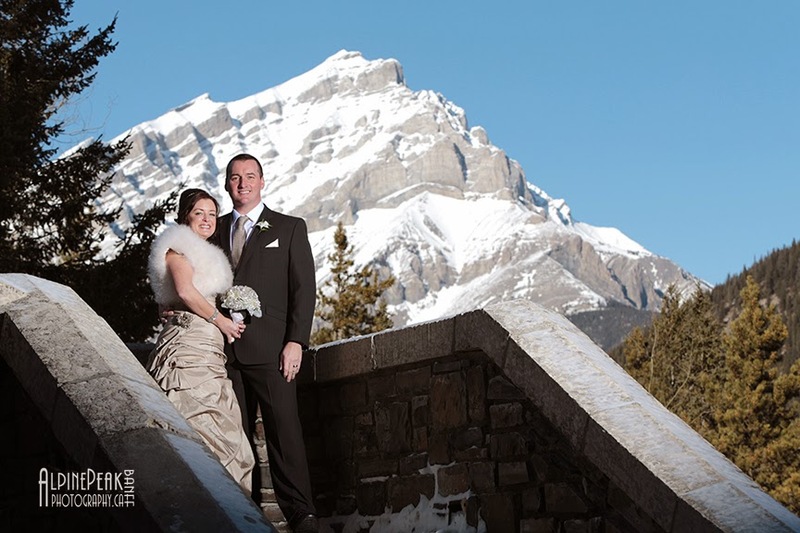 It was a gorgeous Winter day in March. 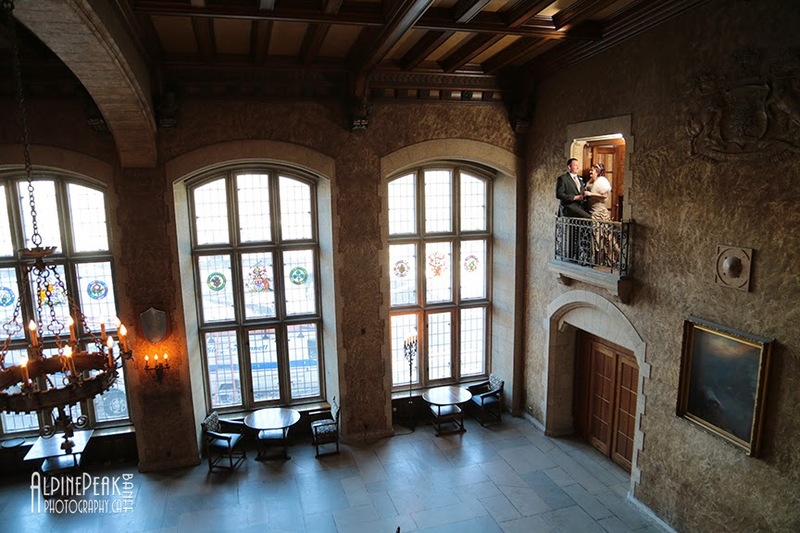 Love this balcony "Romeo & Juliet" shot at the Fairmont Banff Springs Hotel. 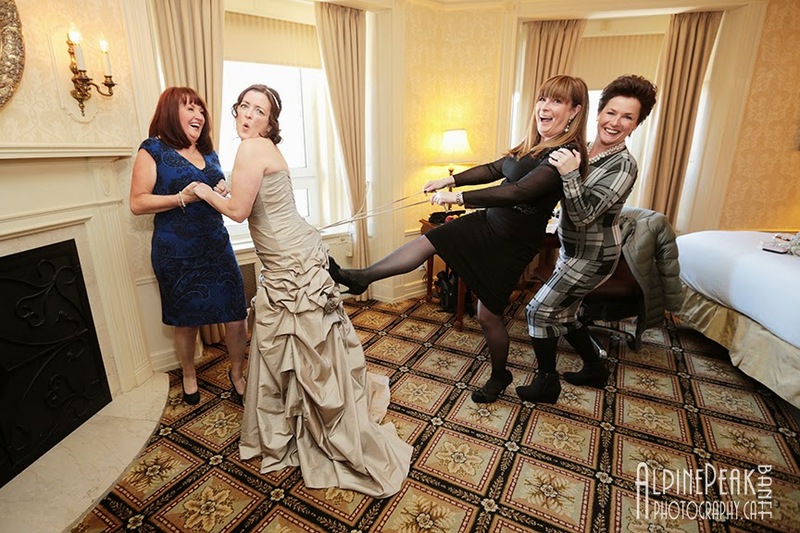 When we arrived at the hotel the ladies were already having fun. 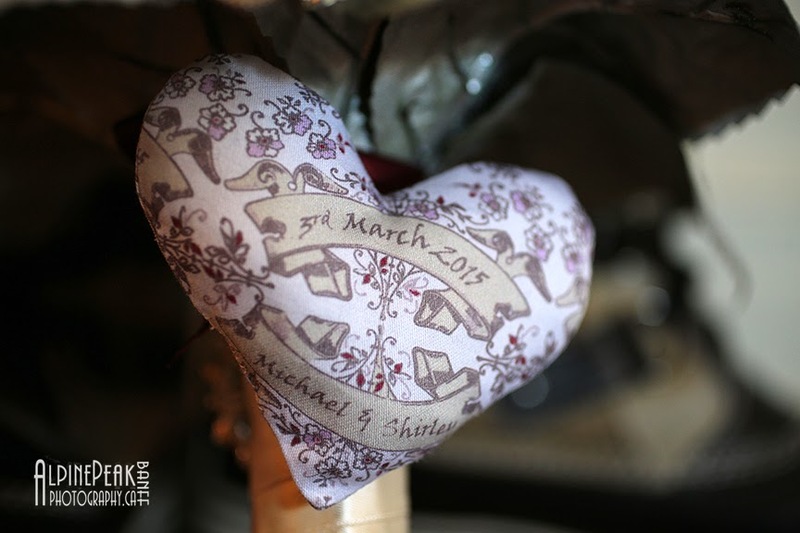 to attach to the bouquet, a lovely keepsake. 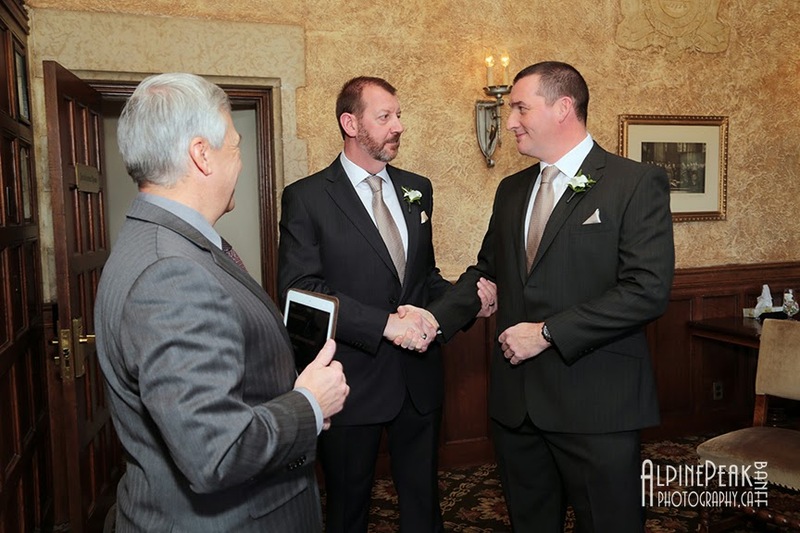 And the gentlemen we having fun getting ready too. 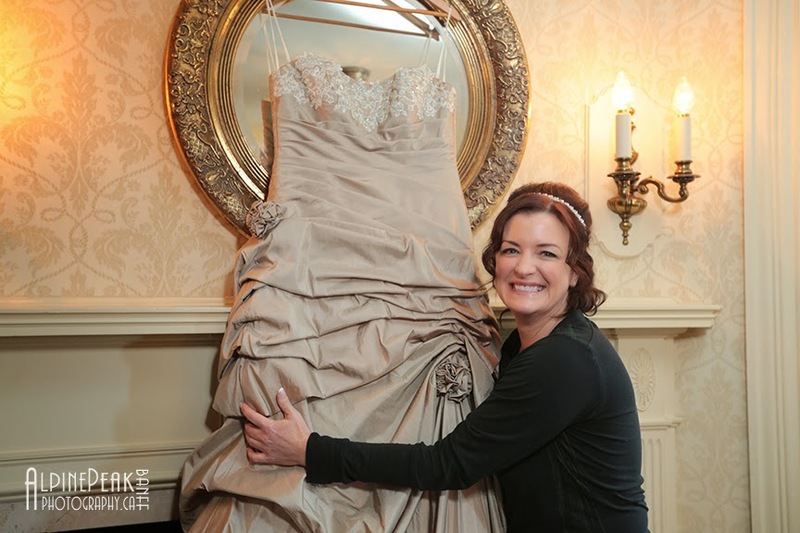 Wedding planner Sharon assisted the ladies in lacing the wedding dress. 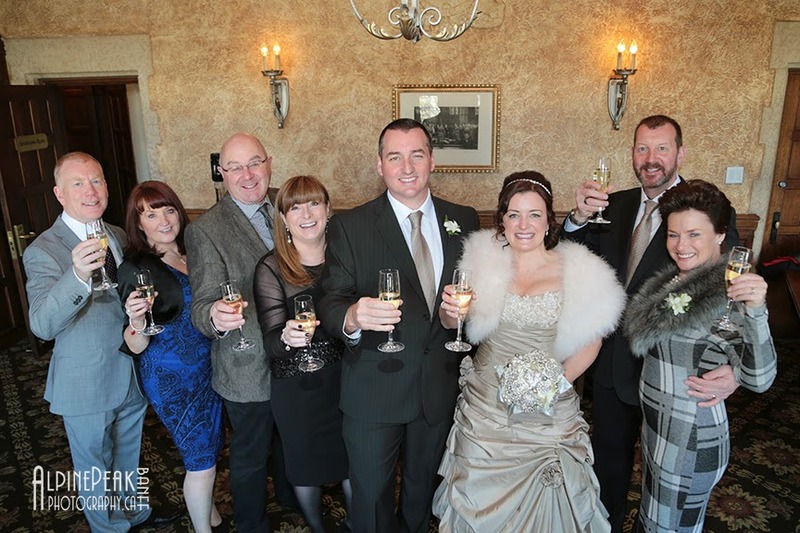 We really did have a great time with this group, they were so much fun! 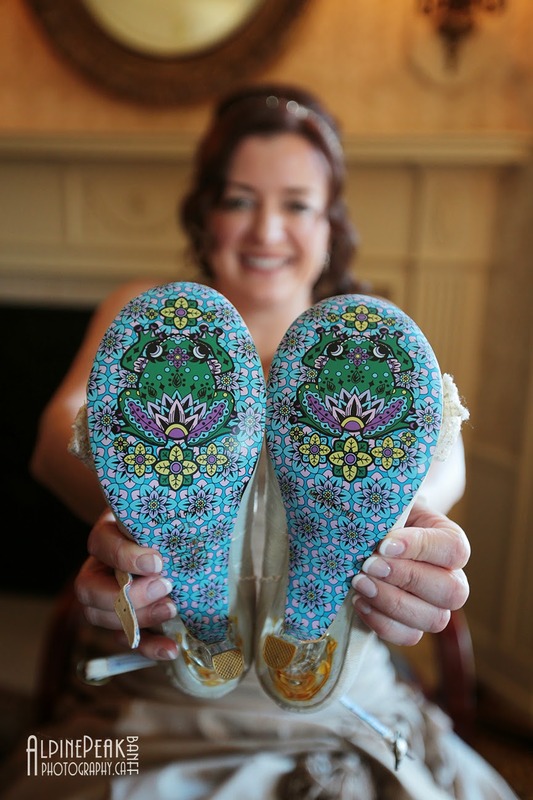 How cute are these little frogs. 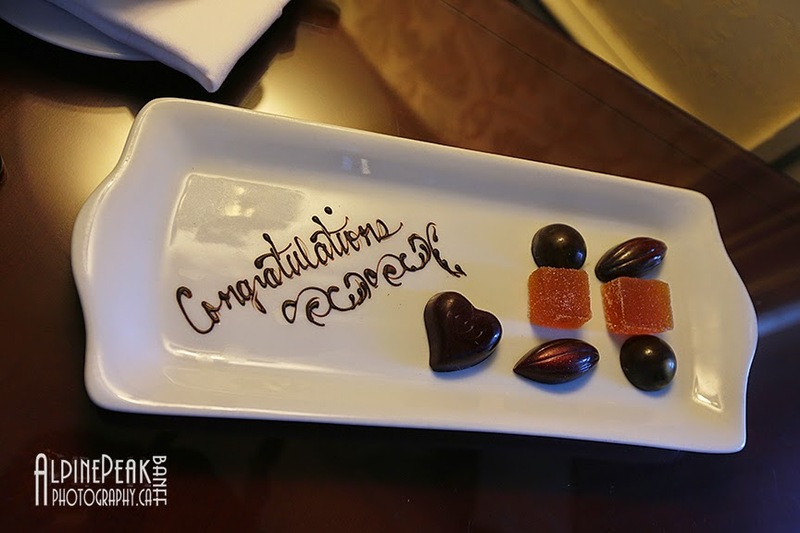 Fairmont knows how to take care of their guests. 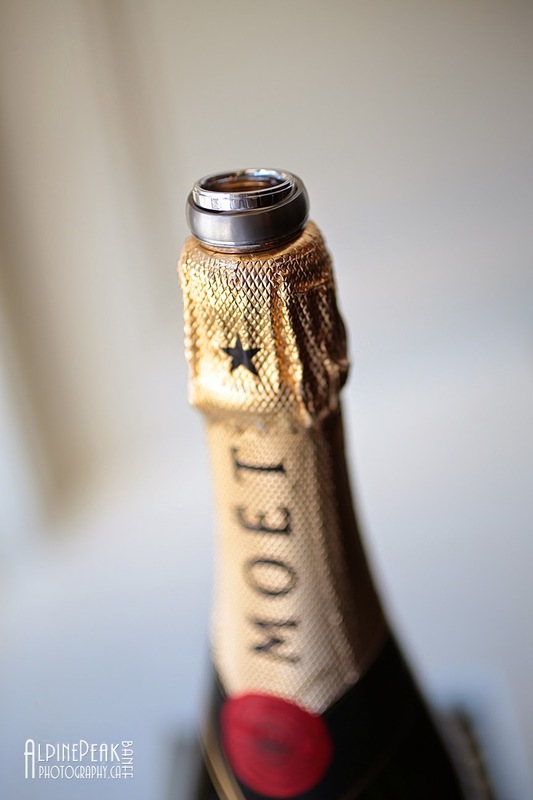 A little sweet treat. 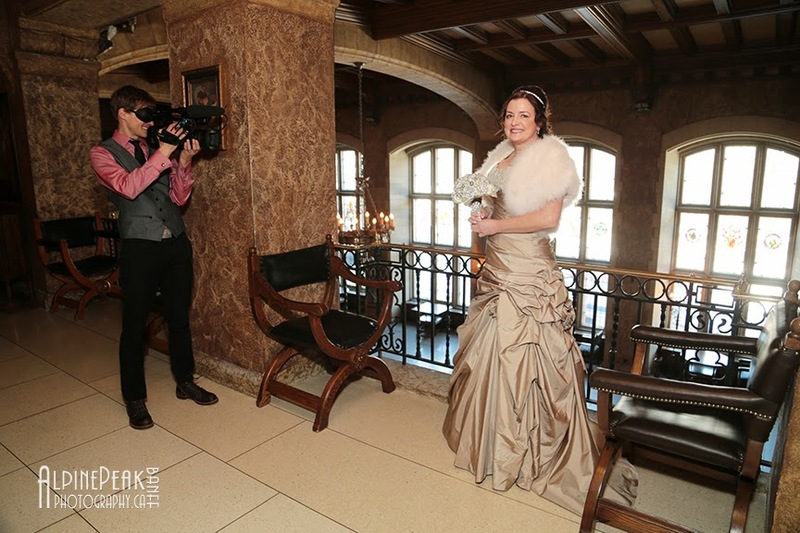 Local videographer Michael Klekamp captures the moments before the ceremony. 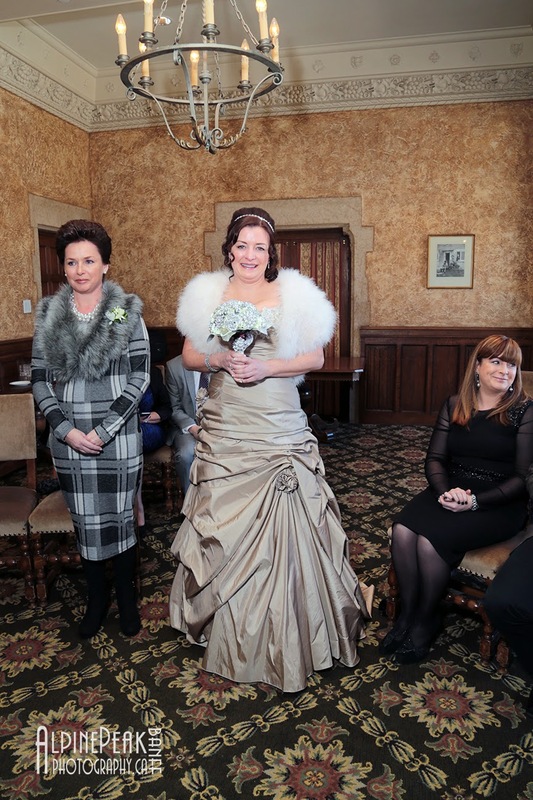 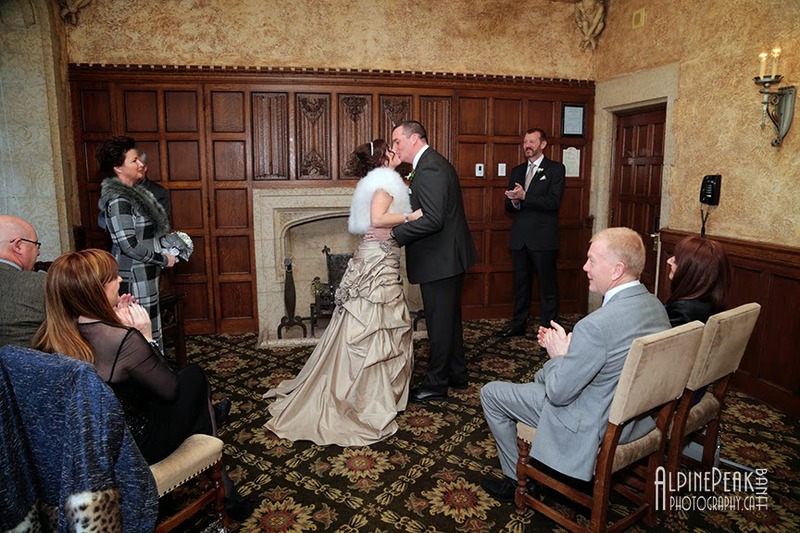 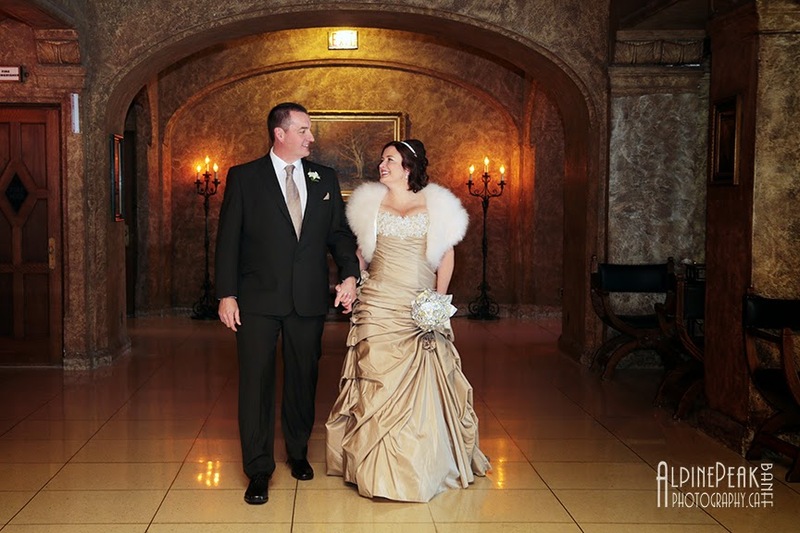 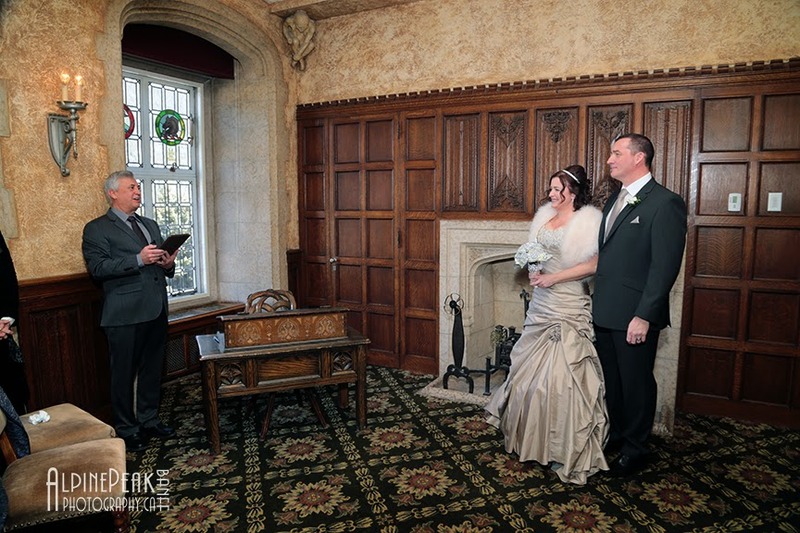 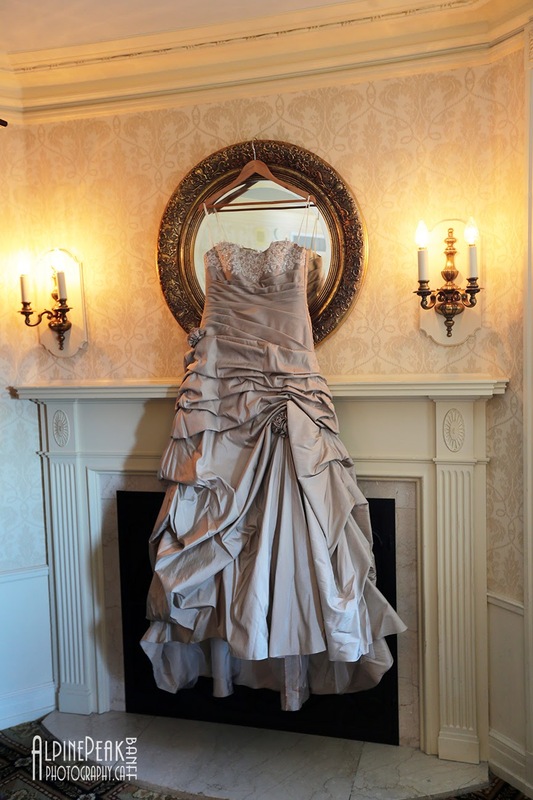 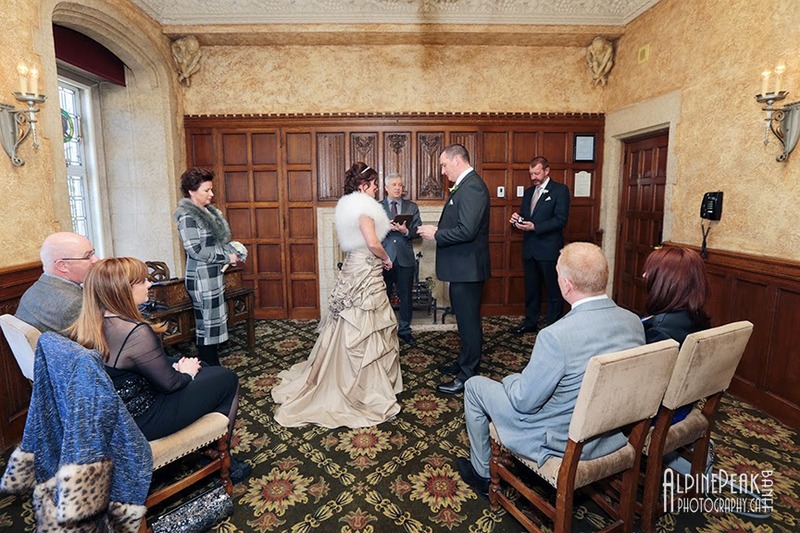 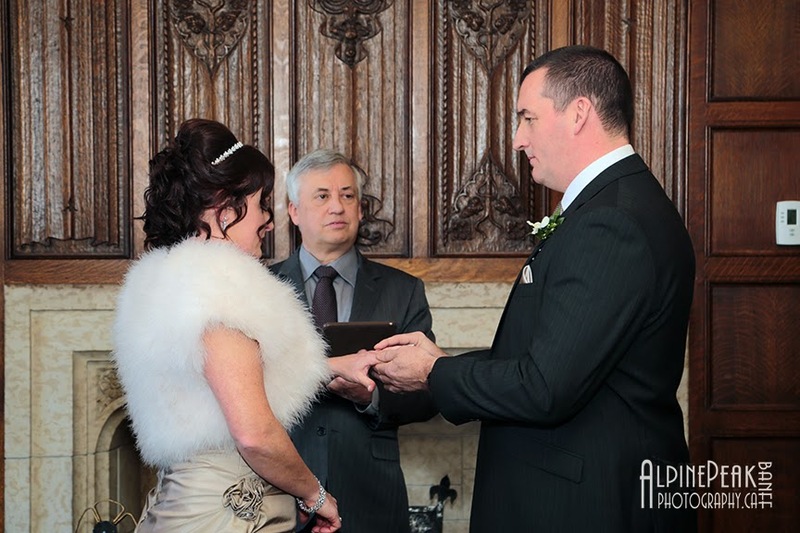 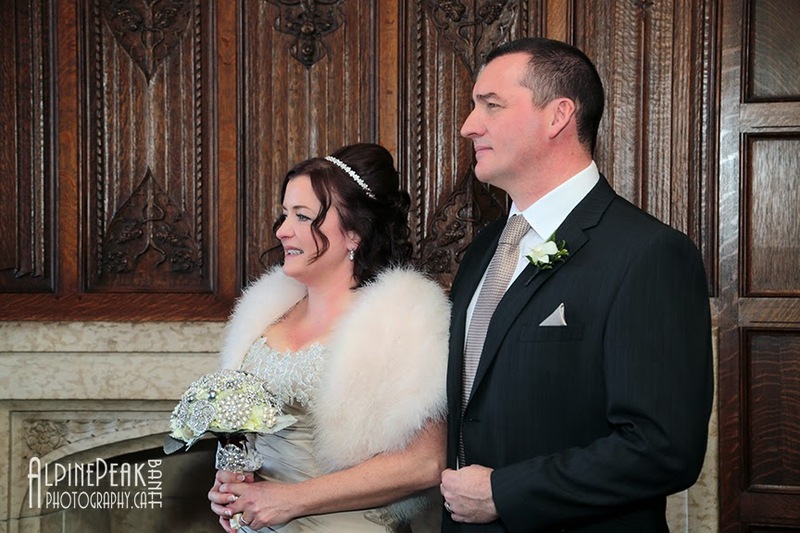 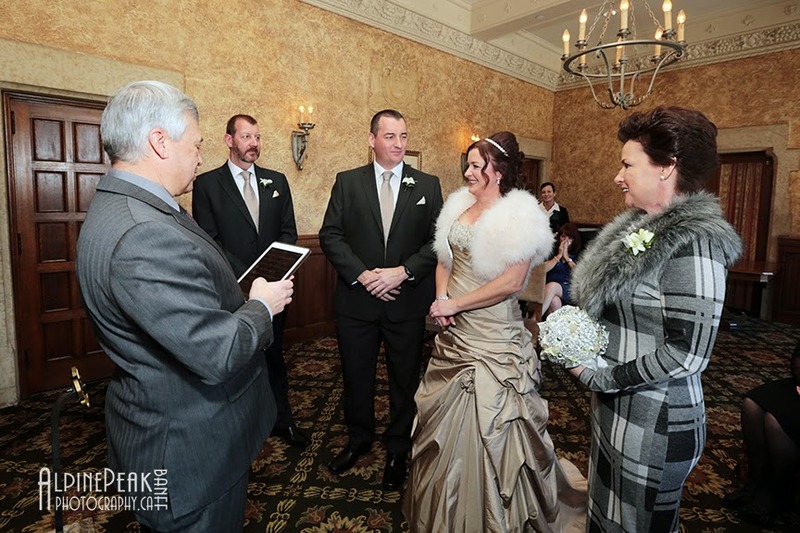 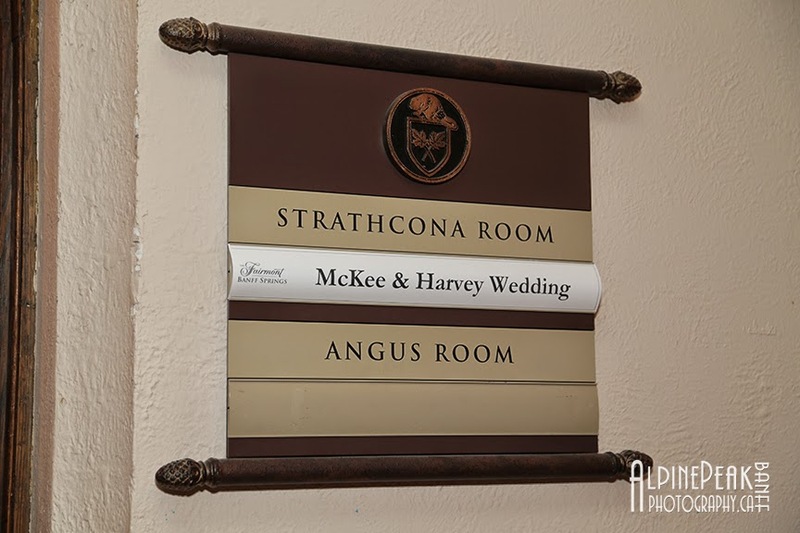 Patrick Smiley performed a beautiful wedding ceremony in the Strathcona Room. 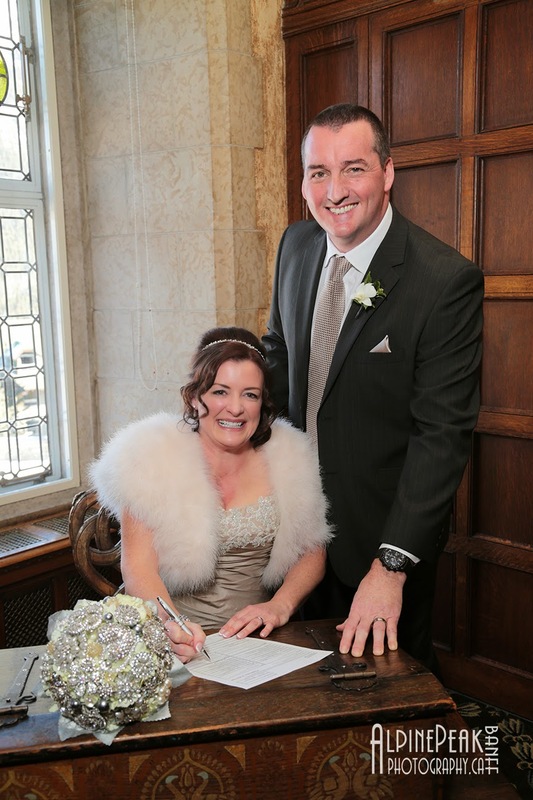 Introducing, for the first time: Mr & Mrs Harvey. 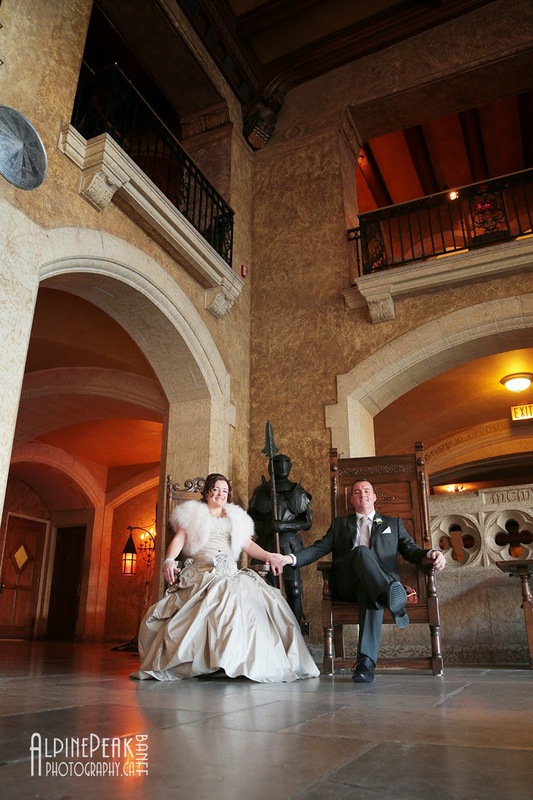 And when at the castle, one should really sit in the King & Queen chairs. 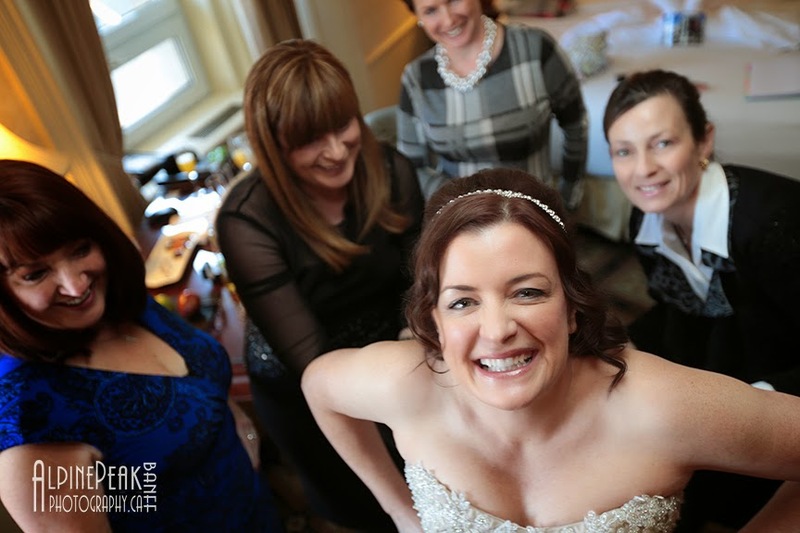 (Especially on your wedding day). 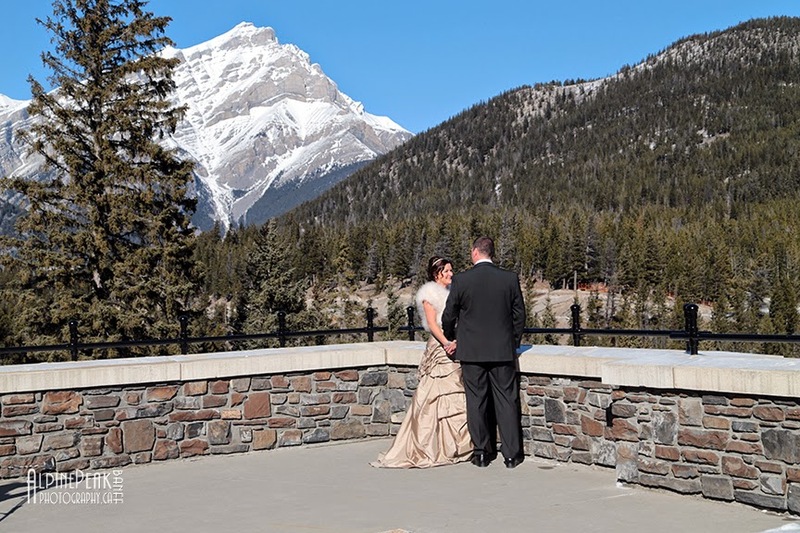 The Canadian Rocky Mountain scenery could not have been any more spectacular. 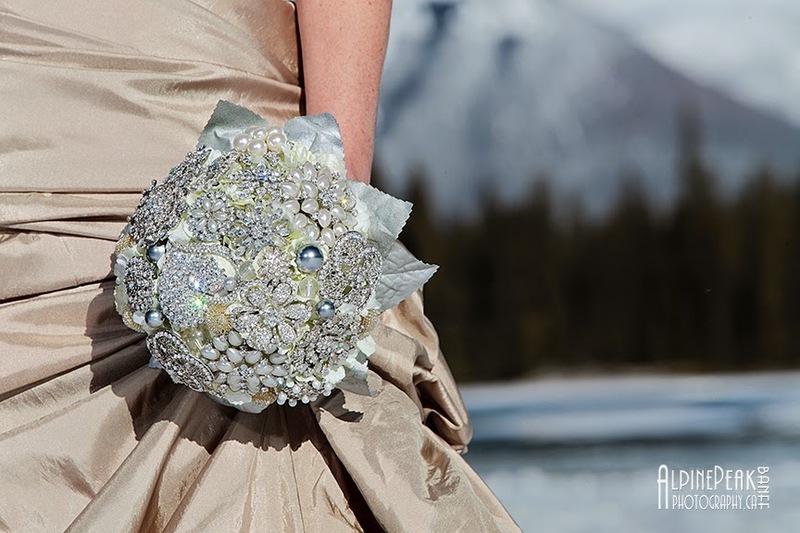 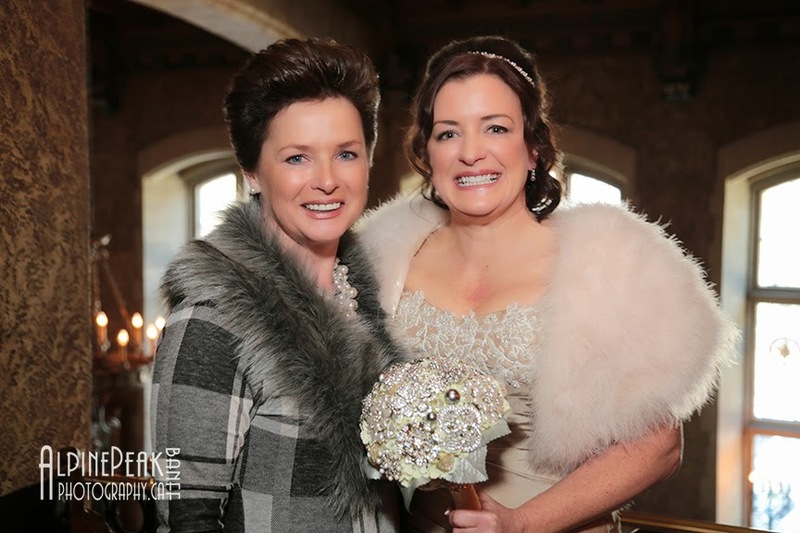 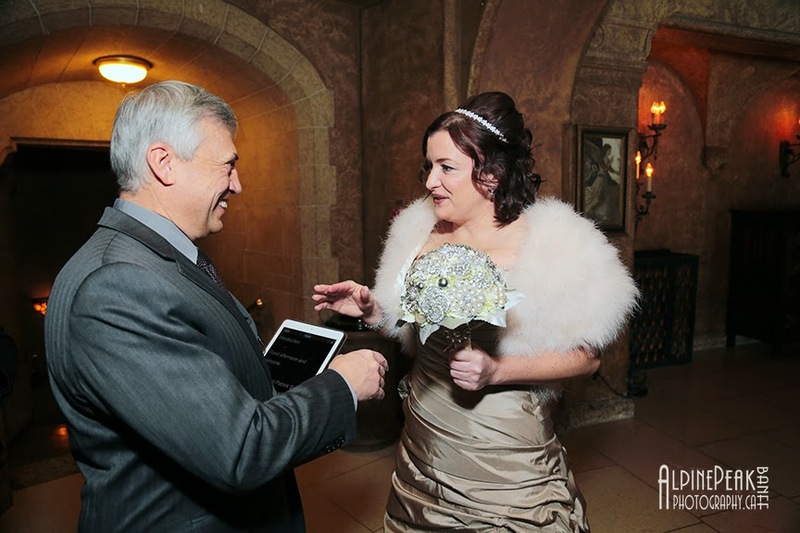 Shirley borrowed Sharon's diamante bouquet and the light picked up every sparkle. 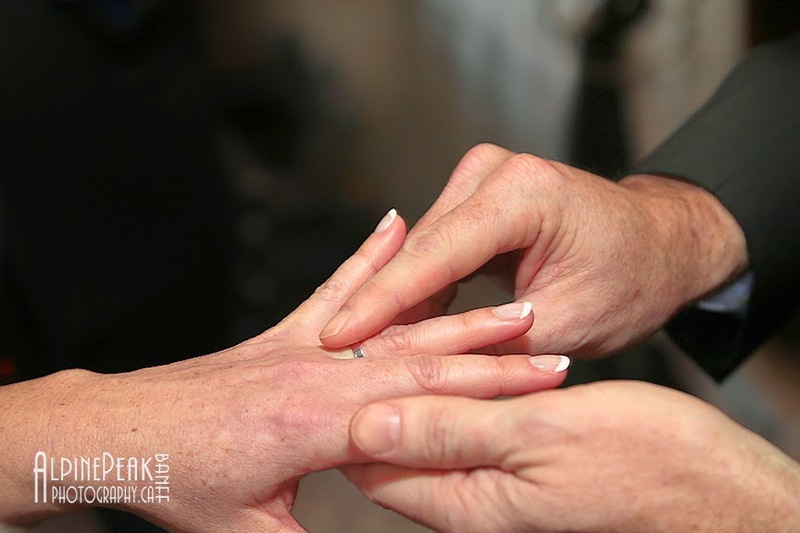 Wishing you both a wonderful future together.